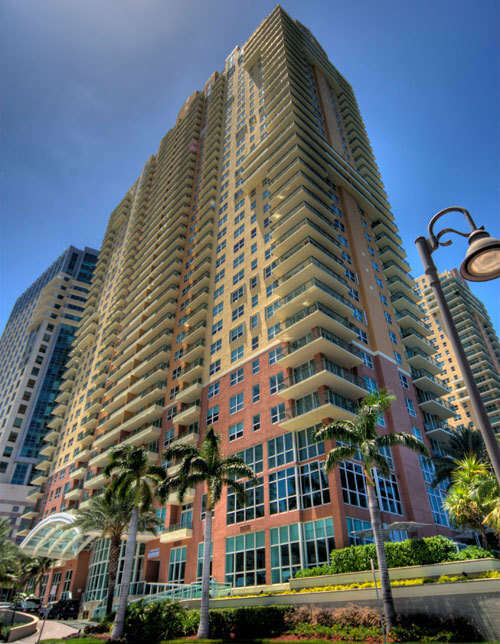 At Icon Brickell, a buyer purchased a one-bedroom, one-bath Bayliner unit. This home has a contemporary-designed kitchen with stainless steel appliances, granite counter tops, and sleek cabinetry. The main living area’s predominant attribute is the sliding glass doors that showcase a balcony looking out to the beautiful water and city views just like that in the master bedroom. This one-bedroom, one-bath floor plan is the larger one-bedroom plan with 1,035 square feet. From the location in the building, there are beautiful city and bay views that go out as far as the eye can see. Like the others in the building, kitchens feature granite counters, stainless steel appliances and contemporary cabinetry. For the most part, $500K affords buyers a one-bedroom, one-bath unit (every so often a two-bedroom lists at this level). Icon Brickell is one of the prominent condominiums in the entire area. With its unique architectural design, it is also probably the most recognized buildings. Included on the property are three towers of which one is the Viceroy Hotel where all residents of Icon Brickell have access to the hotel amenities. Even though the building is only four years old, units have been individually designed in terms of fixtures and finishes. Icon Brickell offers its residents wonderful extras like a two-acre pool deck surrounding an infinity edge Olympic sized pool, Jacuzzi, reflecting pool, concierge, valet, security and more. While list prices range from the low-$300s for a studio to over $2 million for an upper level three-bedroom, rental rates fall between $1,800 and about $9,000 per month. Bayshore Place is situated on Biscayne Bay with the most spectacular views imaginable. Of the only six units sold since 2011, this unit has the highest sale price. It encompasses three bedrooms and two baths in 1,433 square feet. Rarely ever is a unit at Bayshore Place listed for sale. When it does, the property is quickly scooped up. Built in 1973, Bayshore Place is a boutique condominium with only sixteen floors and 123 total units. This is the quintessential classic Miami condominium and offers one, two and three-bedroom residences with square footage ranging from 854 to 1,433 square feet. Some of the amenities include a gym, covered parking, a picnic area, swimming pool and amazing bay views. As for rentals, investors can expect to get anywhere from $2,200 to over $3,000 depending on the location and size of the unit. At the Plaza on Brickell, it is very realistic to expect to find a great two-bedroom, two-bath unit with beautiful views. Of the (25) two-bedroom units that have sold since the beginning of the year, sale prices have ranged from $400K to $650K. Units have a modern design with contemporary fixtures and finishes. The kitchens have granite counter tops, stainless steel appliances and contemporary cabinetry. 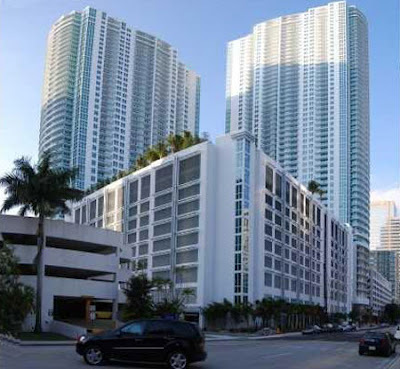 The Plaza on Brickell features 1,000 one, two and three-bedroom units in two buildings. With 440 units on 44 floors in the west tower and 56 floors containing 560 units in the east tower, there are lots of options for property ownership. List prices fall in a broad spectrum from the low-$300s to about $2 million. As for real estate investors, rental property ranges from about $2,000 for one-bedroom rentals to over $3,000 for a two-bedroom rental. Rentals are based on primarily on annual leases although short-term rentals are allowed for a minimum of 30 days with the maximum number of times at 12 each year. As with short-term rentals, monthly rental rates are typically a little higher as the residence is furnished and renters expect to pay more. With a very uniquely designed interior, this two-bedroom, two bath penthouse located in a part of the condominium with private access sold just under $500K – a penthouse for under $500K. It was remodeled to feature a bathroom with a wet-room shower, glass blocked wall, a very contemporary kitchen and so much more. Some of the amenities are 24-hour valet and security, a nice pool area, tennis courts and more. Built in 2001, The Mark on Brickell has 360 units on 36-stories comprised of one, two, and three bedroom suites and penthouses. Several condos in the Mark on Brickell include large bedrooms with walk-in closets, storage rooms, and screened patios, while all have large balconies with beautiful views of the city, Intracoastal Waterway and the Atlantic Ocean. List prices range from the mid-$300s for a smaller one-bedroom unit to almost $1.4 million for a three-bedroom penthouse. Recently sold units show that of the six units that have sold thus far this year, the two bedroom units had sale prices in the mid-$400s (not penthouses). 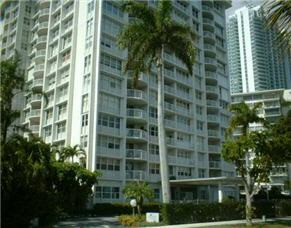 Sale prices, overall, range between the mid-$200s and over $1 million (three-bedroom penthouse). 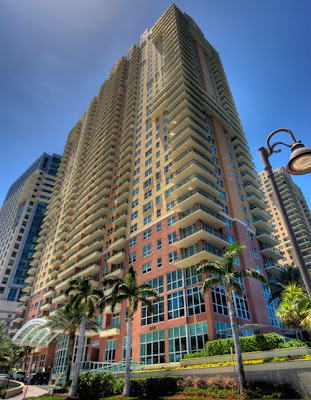 Brickell real estate offers some of the most chic and upscale living in all of Miami. With the energy similar to NYC blended with the tropical and exotic atmosphere in Miami, so many people long to live in Brickell. Since there are tons of opportunities with Brickell real estate, the dream is a very realistic possibility.